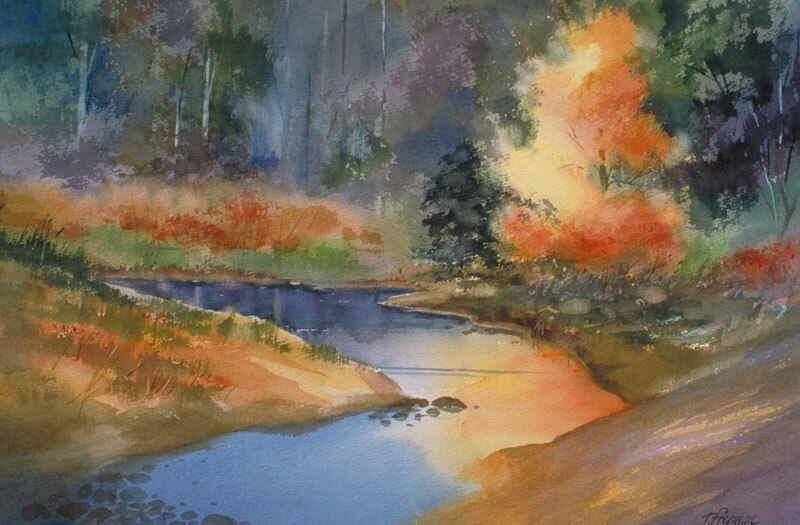 Thomas Freeman Original Watercolor Painting: "Woodland Stream"
On a hike from the Kit Carson Lodge, I came across some Quaking Aspens changing. The contrast with the dark woods made it interesting. For the forest, I brushed in blues and greens, sprayed it with water and unusual things happened! With a thin, wet brush I took out some of the tree trunks, let it dry, and then painted color back into it.